I'm reading: The Center for Breath Treatment Opens Second LocationTweet this! This is a good news for those who has halitosis. It comes with reasonable package too. Sometimes on worst case scenarios, going to dentists because of emergency dental care could be traumatizing. I think prevention is better than cure always. I think halitosis could be a serious problem so they really need professionals like Dr. Dailey. Sometimes people with braces are the ones with this problem. Brushing your teeth properly removes plaque from the surfaces of the teeth and flossing removes plaque from in between the teeth. Plaques and other bacteria can cause bad breath. It's because your teeth and gums are important in many ways. If you take care of them, they'll help take care of you. Strong, healthy and clean teeth give you fresh breath. They help you speak clearly. And yes, they help you look your best. The formal treatment for halitosis stated in this article is a bit pricey. However, my orthodontist Concord NC says that for those with worst cases, it's surely going to be worth it. 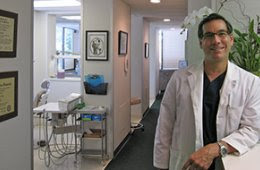 I have read about The Center for Breath Treatment and I know that their procedures has 99% success rate. It's a great news that they are expanding to serve and help more people about their oral problems. Serious bad breath is something that a lot of people complain about. This is the reason why there is such a good deal of research and studies with regards to this subject and so many treatments for it. Center for Breath Treatment cost is quite reasonable because of the package of medicines and check-up it includes. I think I'll ask my Bartlett dentist how much it costs in his clinic because he usually gives me discounts. I'm glad that you have a second clinic now. A lot of people have been having bad breath problems and it's going to be easier to reach you with this second location. It's good to know that there's another location at Berkely. My relatives there won't have to travel farther just to get dental care check up. The Center for Breath Treatment is one of the best breath treatment clinics in the country today. It's a great news to hear that they are expanding and servicing their patients. This dental clinic has a reputation and I'm glad they opened a new location. I think it's very important to keep in touch with our dentists to avoid having serious case of bad breath and other oral issues. If you regularly brush and floss your teeth but you still have bad breath, I think you need to consult an expert like The Center for Breath Treatment to determine the root cause. I'm glad that the center for breath treatment continue to expand to service more and more people that needs them. A healthy breath depicts a healthy body.